Talk of the Bills big trades will dominate Week Two of Buffalo Sports Page Radio. It comes your way this Saturday, August 12 starting at 10am on WECK Radio in Buffalo. 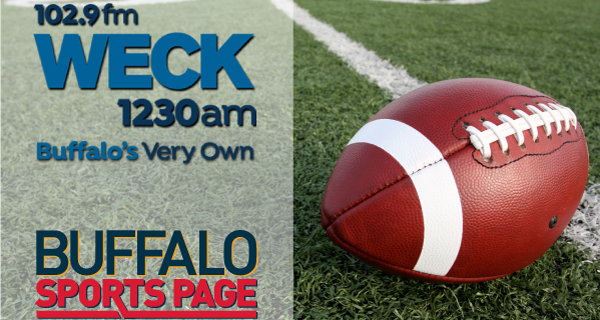 WECK radio can be found at 1230AM & 102.9 FM in Buffalo. The stream of the show can also be found at weckbuffalo.com. Sports fans can also watch the show via Facebook Live. The show is hosted by Buffalo Sports Page creators Paul Peck & Kevin Sylvester. 10:00am Greg Gabriel. The Buffalo Sports Page NFL expert will have in depth, NFL front office perspective on the Bills trades of Sammy Watkins & Ronald Darby. He’ll also break down the new additions, WR Jordan Matthews & CB E.J. Gaines. 10:20am Mark Kelso. The Bills radio analyst will discuss the team’s preseason opener and the big trades. Kelso, who is also the general manager of the #78 A.J. Allmendinger NASCAR team, will also talk about the racing season and last weekend’s event in Watkins Glen. 10:40am Eric Weissman. The former Sabres scout and current Buffalo Sports Page contributor will talk about the Sabres offseason, the upcoming season and the drafting of first rounder Casey Mittlestadt. 11:00am Sports humorist Jeff Wozer. He’ll be live in the studio to have some fun with the guys. He’ll have some fun ideas about the new Bills regime and a future stadium. 11:25am Nick Mendola. He joins the guys live in the studio to talk about the Bills Rap. Nick will also talk Bills preseason and the Sabres. Buffalo Sports Page radio is live every Saturday from 10am-12pm. Starting September 10, the show adds Sunday mornings from 11am-1pm.